Code 39 error is one of the common code errors in Device Manager. Many users have reported this error code and share the fixes. 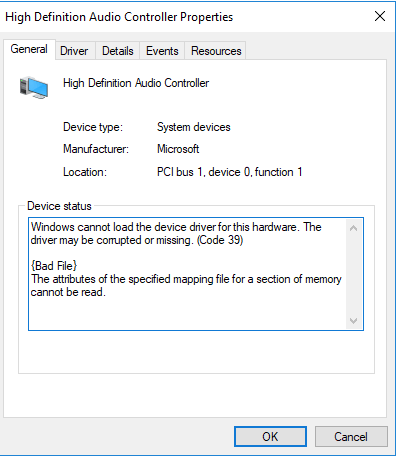 So if you get code 39 error with your sound card driver, don’t worry. You can fix the error easily. Just use one of the methods in this article. There are four methods to fix the issue. You may not have to try them all. Just stat at the top of the list until you find the one that works for you. If you’ve searched online to find the solutions, you may exhaust all the manual methods. In that case, it’s recommended you use method 1 to fix the issue automatically. 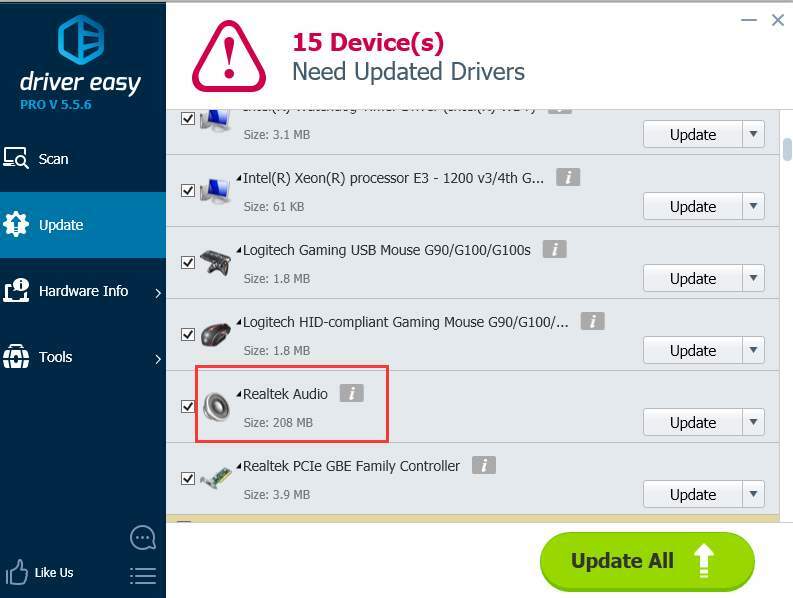 The error is likely caused by missing or corrupted audio driver. To fix the problem, you just need to fix the driver issues. If you’ve spent much time on this issue and it’s still not resolved. You can use Driver Easy to help you. 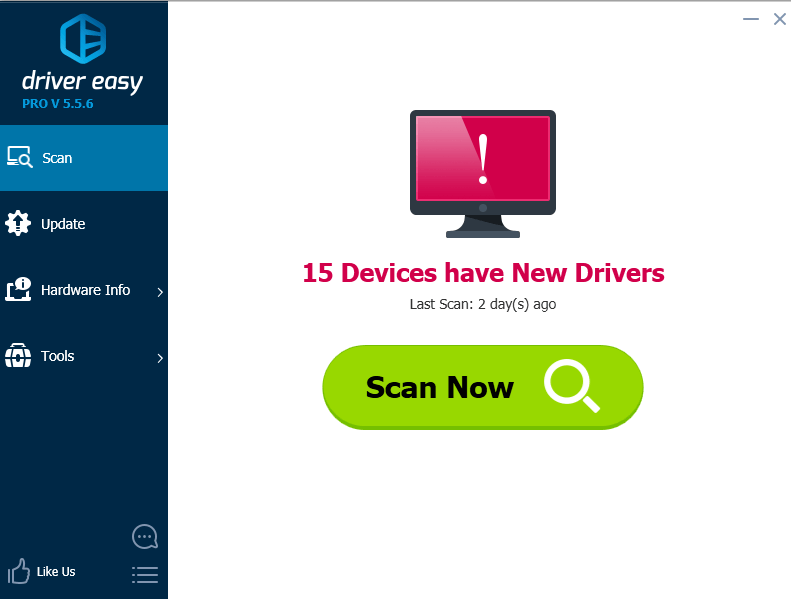 If you don’t have computer skills to fix this issue, you can use Driver Easy to help you. 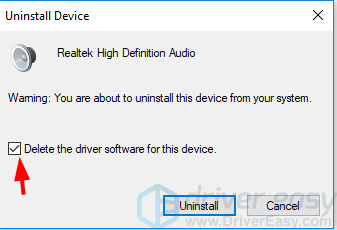 This method is to uninstall the currently installed audio driver, then allow Windows to reinstall the driver. It will work if the current installed drivers is having problems. 2) Type devmgmt.msc and click OK. This is to open Device Manager. 3) When Device Manager opens, expand branch “Sound, video and game controllers”. Double click the sound card (for instance, Realtek High Definition Audio) and select Uninstall device. 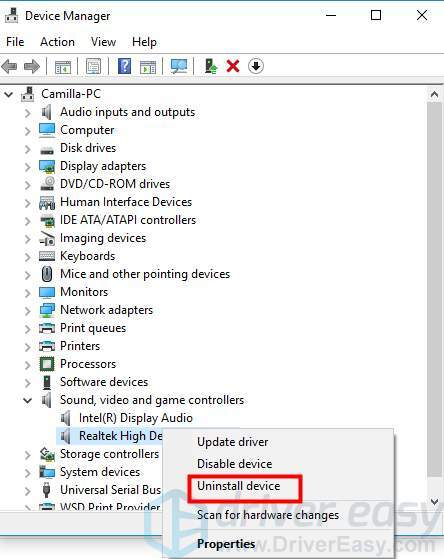 4) When prompted to confirm the uninstall, select Delete the software for this device then click Uninstall. If you do not see this option, just click the Uninstall button. 5) Go back to Device Manager Window. 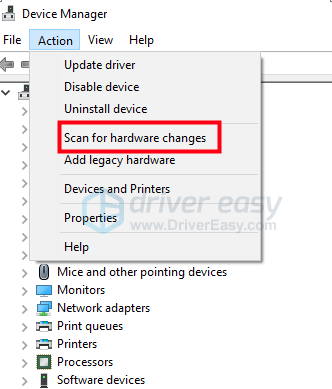 In menu bar, click Action then select Scan for hardware changes. 6) Check to see if the problem is resolved. Driver Easy and method 2 might solve the problem in most cases. If they don’t work in your case, you can try to reinstall Windows. If you’re using Windows 10, you can see How to Reinstall Windows 10. 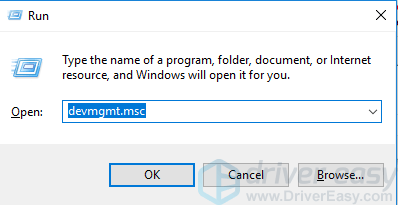 IMPORTANT: Reinstalling Windows will loose software and files that do not save in the drive that you installed the Windows, and the Windows settings. You must know what you’re doing. Remember to back up your important files before reinstalling the Windows. If you’re not comfortable with this, take your computer to someone who can help or a computer repair store. If none of above methods works, there might be problems with the sound card. You may need to replace it with a new one. It’s recommended to take your computer to the repair store if you’re not good at this. TIP: If you’ve used Driver Easy and the problem is still there, please feel free to contact our support team for further assistance.